This review is about item#88967024. 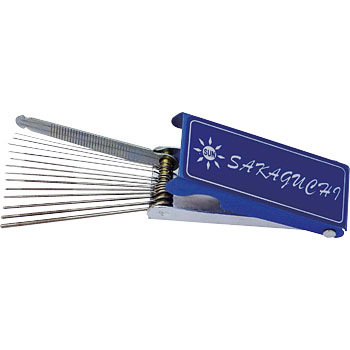 It is convenient because it does not become jammed with the size that it fits snugly into the pocket when carrying around with outdoor welding. In gas welding, it is useful because cleaning is a waste so that high pressure of the crater passes. I think that it is easy to use because it is strong aluminum with aluminum case. It is better if the price is cheaper a little more. If there is another narrow needle, I think that it is a perfect product. It is handy and convenient. Although it may not be the original usage, it could be used to clean the carburetor of the engine of a haulage machine of about 3 horsepower. It is easy to store and carry since it is in the case. I am happy that the price is reasonably bargain. I threw it on the cab OH and used it by removing clogging of the main jet. Price, ease of use is the best.